Meet our circle of passionate and authentic teachers with many talents, beautiful practice and eagerness to share yoga with all students including: families, kids, and adults. Aleksandra found yoga in 2001 during her first visit to Maine from Poland and she was drawn instantly into this transformative & healing practice. She completed her initial 200 h vinyasa teacher training with Jennifer Cooper and Sandra Pleasant in Virginia and since then studied with many teachers including Sean Corn, Shiva Rea, Patricia Walden, Jacqui Bonwell, Amy Wren, Nicole Clark and many others. She also holds 40 h Prenatal Training with Still Point Healing Method and Kids Yoga Teacher Training through ChildLight Yoga. Additionally she has a strong background and certification in Pilates, Ayurveda and is a Usui Reiki Master. Aleksandra completed her 500 h advanced Yoga Teacher Training with Yoga of Energy Flow. Her teaching style is heart driven and based in alignment while allowing for creativity and intuitive sequencing. 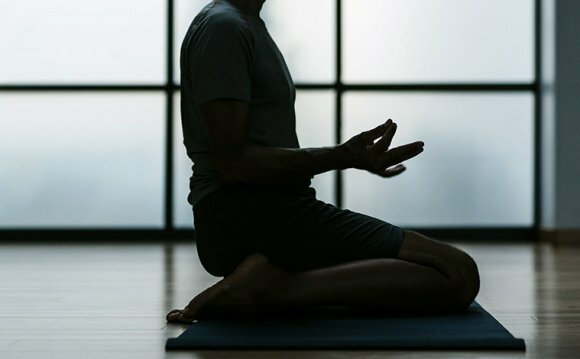 She encourages students to breathe into their space on the mat and educates them about ways of incorporating the practice of mindfulness and holistic health into their daily lives. She strives to create a safe space for healing to occur across all ages. She is constantly grateful to all her teachers and students for endless inspiration and wisdom. She is passionate about bringing yoga and mindfulness to all ages and has a strong vision for Spiral Tree Yoga & Wellness within the community. When not teaching Aleksandra enjoys being in nature with her two children Natalia and Konrad and her husband Brian and her dog Kari. To read more about her and the story of Spiral Tree click here. When I was about 20 I took my first yoga class and was smitten. As some people say about their partners- we met and it was as if we had known each other all our lives. It was only natural that somewhere down the road I would end up being able to share this great tool with children. Prior to teaching children's yoga, I had been an educator in many senses for children of all ages. From a nanny to the director of an all-girls program, I felt like I'd done it all except for yoga, which changed after receiving my certification from ChildLight Yoga in early 2010. I have a BFA in Art Education, and moved to Portland from Massachusetts 7 years ago to jump into change with my then fiance so he could attend grad school. Seven years later we're still here and have grown our family to 4 with an almost 5 year old son and almost 2 year old daughter. I greatly appreciate the gift I've been given and what I am able to pass on to the aspiring souls of the present and future!